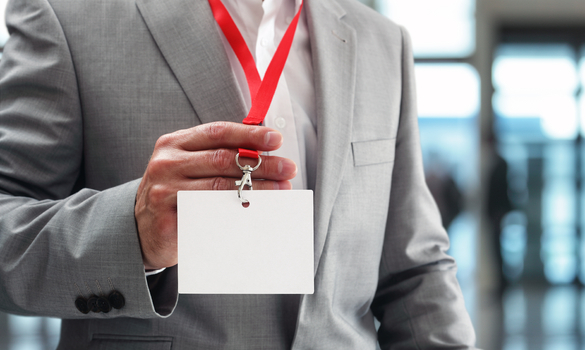 There are many good reasons to attend tradeshows and similar events, whether you’re in it to make your brand more visible or just to stay involved in the industry. In fact, they’re still one of the most effective ways to promote a B2B company. In most of those applications, your success rate is going to be dependent on your ability to stand out in the crowd; passersby will have a limited amount of time to make their rounds, and they’re only going to engage with the installations that draw their attention the most, or the ones that seem most interesting. First, make sure you invest in custom-printed canopies and banners. These colorful illustrations of your brand will be visible from far away, drawing eyes and attention quickly and efficiently. They aren’t super expensive, nor are they embarrassingly flashy, but they’ll help your brand stay top-of-mind, and if effectively done, should pull attention away from some of your competitors. Consider using music and noise to attract people as well. For example, you could have a running electronic playlist to help your booth stand out, or you could have a single song that comes up on your playlist frequently enough that people will easily notice and remember it. You could even have a specific noise or musical flourish associated with an event at your stand, such as a notification that someone has won a prize. It’s very noticeable and hard to forget—though if your hook is too annoying, it might drive some people away. Contests and giveaways are always a good idea to attract attention, even if the “best” giveaways cycle with trends. Consider entering attendees into a drawing for a valuable item, such as a gadget, or giving away something smaller and less valuable to every attendee. Just make sure your brand is prominent on all displays and/or items, so you aren’t forgotten in the desperate bid to win something. Promotional products have been a staple of tradeshows for decades, and they usually pack a lot of bang for your buck. But one of the most effective ways to get attention for yourself is to choose something wearable—like a backpack or a hoodie—so multiple attendees can wear it around the venue. Nothing gets the attention of an attendee like dozens of other attendees all wearing the same creative promotional products. Sooner or later, they’ll ask someone where they got the item—which will lead them straight to you. Having someone animated, talkative, and friendly at your tradeshow booth is practically essential if you want to be successful. They’ll speak with passersby more frequently, make people feel good about your brand, and hopefully, attract more onlookers to engage with your brand representatives. Make sure you choose some of your best team members for the event. An integrated social media strategy can do wonders for your trade show attendance. If there’s a twitter or Instagram hashtag available for the event, use it liberally throughout the day, taking photos of the event and announcing new offers throughout the day. This will make your brand more visible, and will also make you seem more involved in the industry. It’s even more effective if you’re a part of a main event, such as a speaking opportunity, and you live stream it to your followers. It can also help you reach non-attendees in your audience. A good tradeshow strategy starts several days or even weeks before your actual attendance. Let people know you’re going to be attending, and what they can expect from you—and plant a few ambiguous teases to make sure they’re incentivized to check you out during the big day. Your trade show booth should have many functional and design elements that align with your overall brand identity. This preparation and presence can improve the effectiveness of your trade show ROI. Were you successful in your attempts to stand out? Did you earn enough brand visibility, sales, or knowledge to justify the money you spent for the event? The only empirical way to answer these questions is by gathering data. Track exactly how much you’re spending, figure out exactly which key performance indicators (KPIs) are most important, then calculate the relative ROI of the event. If your techniques worked, make a note of them so you can repeat them in future trade shows. If they didn’t, experiment with something new at your next event. Only with empirical data will you be able to determine your effectiveness, and gradually improve your approach.